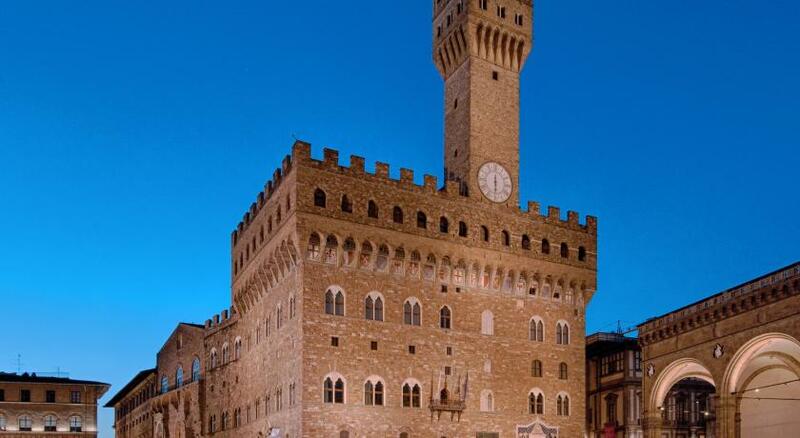 Lock in a great price for Hotel Pitti Palace al Ponte Vecchio – rated 8.6 by recent guests! The staff were police and helpful. The room was clean and well-furnished. A very special feature was the breqkfast, which was exceptionally good. The location, just simply in the middle of everything! The suite with the open terrace on the roof overlooking the beauty of Florence! 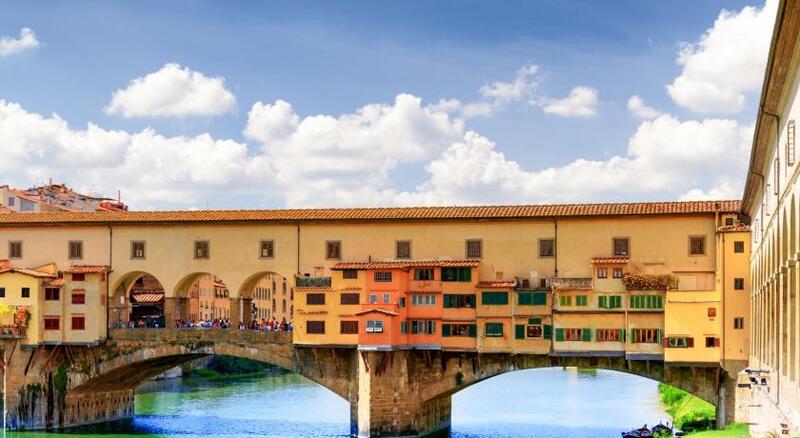 The location is perfect if you want to be close to the Ponte Vecchio. The hotel is small and comfortable. Though not luxurious, everything that is needed for a pleasant stay is provided. Dinner reservations were easily made and the staff was able to supply answers to any questions I had. Breakfast is basic, with a variety of pastries offered along with scrambled eggs and meats. Fresh and canned fruit is available. The coffee machine offers a variety of coffees to satisfy your palate. I prefer espresso and it was hot a tasty. This was my second stay and I would would be happy to reserve this hotel again. 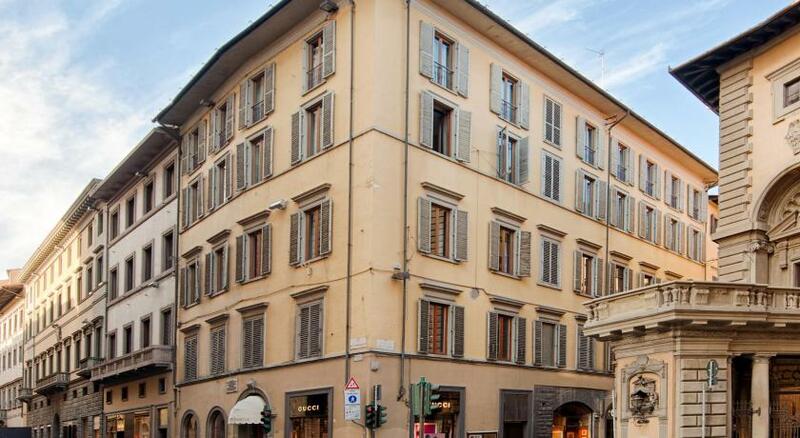 Hotel Pitti Palace al Ponte Vecchio This rating is a reflection of how the property compares to the industry standard when it comes to price, facilities and services available. It's based on a self-evaluation by the property. Use this rating to help choose your stay! 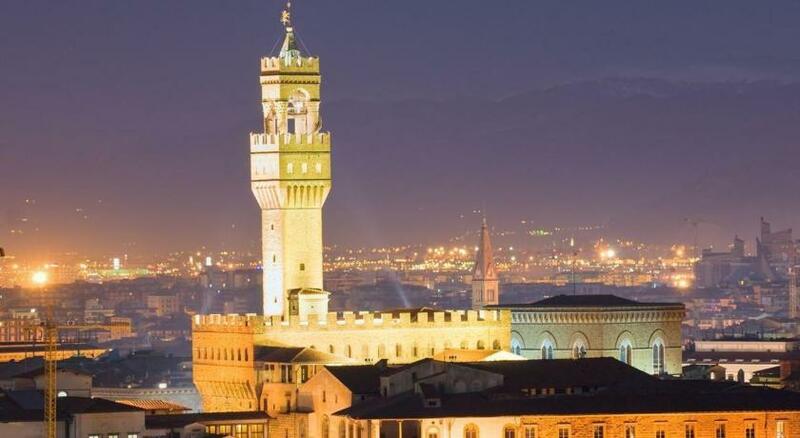 One of our top picks in Florence.Set in the 13th-century Rossi Tower next to Ponte Vecchio, Hotel Pitti Palace features a panoramic roof terrace with beautiful city views. It offers free Wi-Fi. 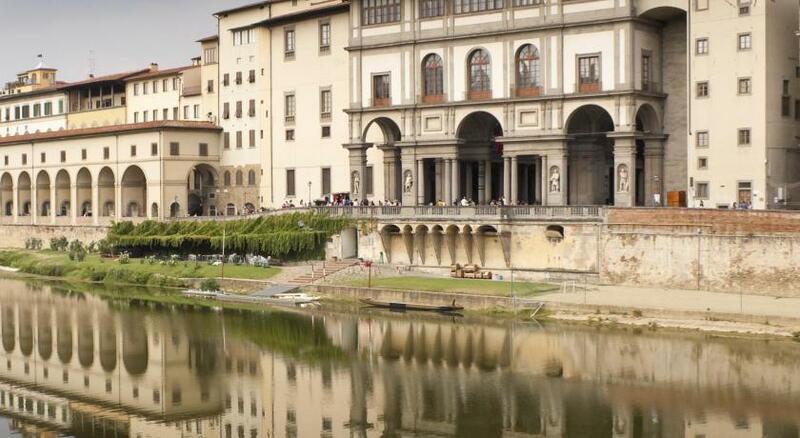 The Uffizi Gallery is a 5-minute walk from the hotel. Florence Cathedral is 1,650 feet away, while Santa Maria Novella Railway Station is 0.6 mi away. 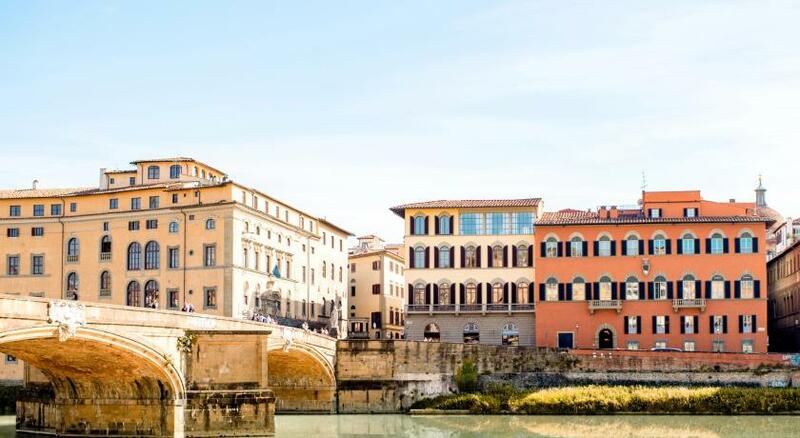 The rooms at Hotel Pitti Palace al Ponte Vecchio include windows overlooking the Arno River or the surrounding medieval city area. Alla Torre De’ Rossi restaurant serves local cuisine and is on the top floor with a panoramic terrace. 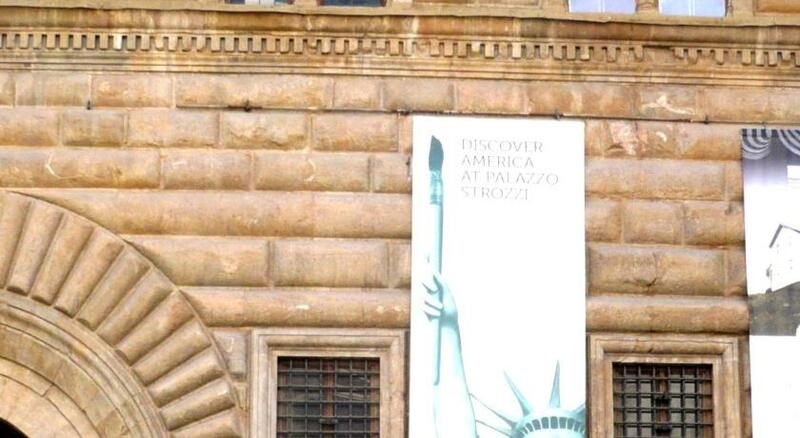 When would you like to stay at Hotel Pitti Palace al Ponte Vecchio? This air-conditioned room features a private bathroom with bathtub, shower and hairdryer. A satellite TV and a minibar are also available. This air-conditioned and bright room features a private bathroom with bathtub, shower and hairdryer. A satellite TV with documentaries about Florence and a minibar are also available. Offers modern furnishings, hardwood floors, and marble bathroom. It includes air conditioning, free Wi-Fi and a minibar. 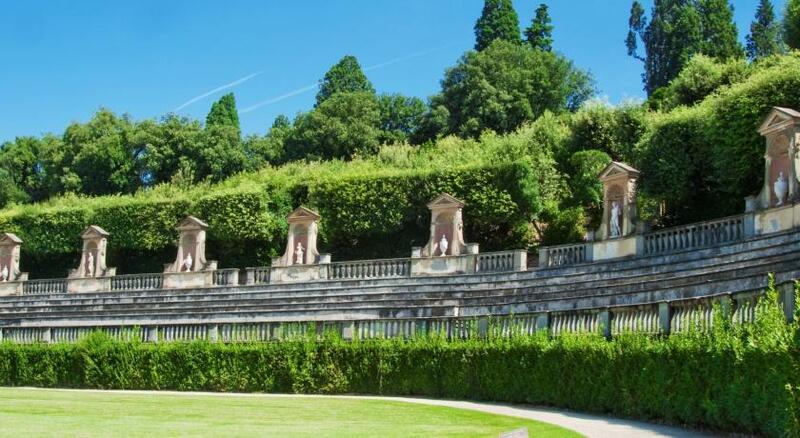 Overlooks Ponte Vecchio or the gardens of Forte Belvedere. It includes air conditioning, free Wi-Fi and a minibar. Large junior suite with a separate living room. It includes air conditioning, free Wi-Fi and a minibar. Seventh floor suite with panoramic views, large balcony, separate living room, study and 2 bathrooms. It includes air conditioning, free Wi-Fi and a minibar. 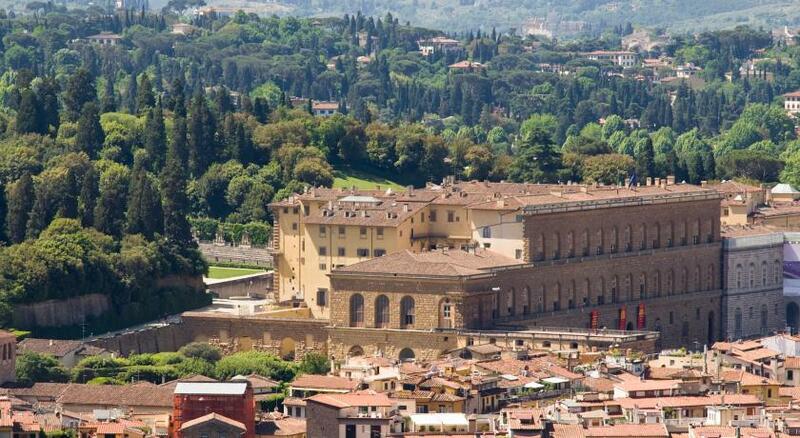 House Rules Hotel Pitti Palace al Ponte Vecchio takes special requests – add in the next step! Hotel Pitti Palace al Ponte Vecchio accepts these cards and reserves the right to temporarily hold an amount prior to arrival.